From his must-have gear to starting a loop in 6/8, Grammy award-winning producer and 1/2 of genre-defying R&B duo THEY. Dante Jones reveals his creative process & workflow in his new 17 Hertz studio. Discover more creative techniques and sound design quick tips in our Output Quickies. Dive into the studio session with producer P.Morris on capturing happy accidents and collaborating with a vocalist. Curious to improve your workflow? 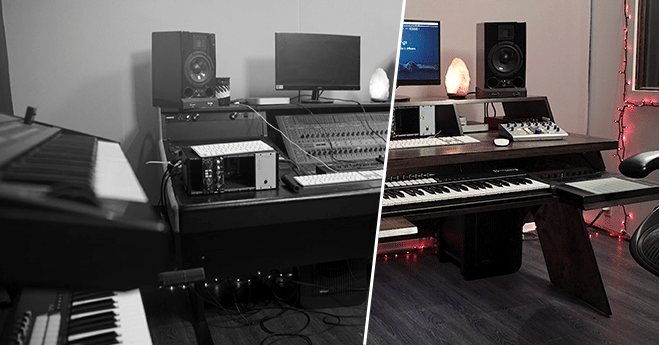 Check out our studio flip of Dante’s studio with his new Platform desk!